A pool in the hills. The city below. Tall buildings and a moat of smog. A smothering that made her think of stillness, yet she knew this wasn’t the case. 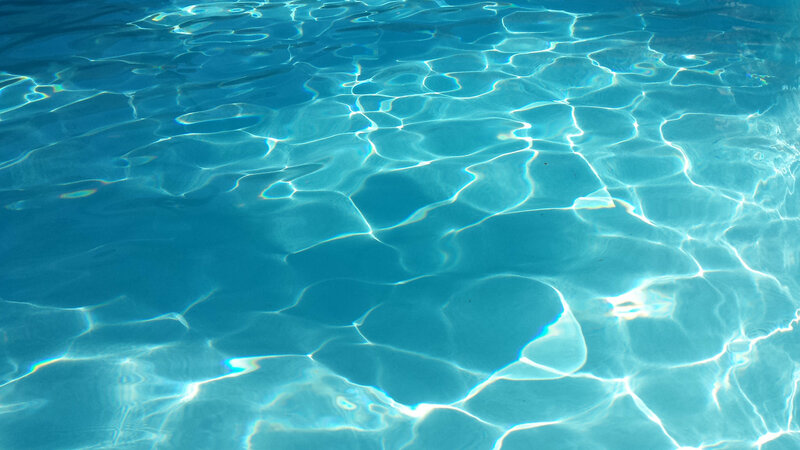 The pool clean, a shimmering of captured light. The movie star on a raft. A naked drift, a daring of the paparazzi and their telephoto lenses. The scene slipped before her. The windows of her house and the reflected sun. Her olive trees. The canopy of pale blue. She closed her eyes, and in the water’s nudge, the memory of summer days at her grandfather’s cabin. She hated the cabin—its spiders and mildew, its outhouse. The lake a different story. Last year, she’d given her Realtor three provisions—at least 8,000 square feet, a view, and, most importantly, a pool. The movie star lay back and considered the sky. As a child, her parents had forbidden her from swimming at the local pool. The hot city summers, the fights between blacks and whites. At the lake, she swam until dusk. Her mother waiting on the shore, a towel and an embrace. The girl leaned close and waited for warmth. Her blue skin, her chattering teeth. Then night, a dark unimaginable back home. Exhausted, heavy limbed, she lay upon a thin mattress and drifted, not hating the cabin, at least not as much as she did on rainy days. The movie star slipped from the raft. A descent toward the diving well’s drain. A trail of bubbles and the weight stolen from her body. This water so clear. At the lake, her grandfather had constructed a diving platform thirty yards from the shore. The lake’s silt, the water’s metal aftertaste. Stands of hyacinth in her hair. The dragonfly dances. The unseen brush of fish and the fear of snapping turtles. She is twelve the summer after her mother hanged herself. She stands on the floating dock, the water’s sway within her. She’s unnerved by her cousins’ pilfered glances. Their eyes lingering after a laugh or sigh. The curiosity of suffering, a death barely acknowledged. Whispers from downstairs after the children had gone to bed. The movie star is born on that bobbing platform. Born in a single leap through air thick with humidity and honeysuckle. She leaps to save herself from suffocating. Leaps to escape the burial of stares. In the air, she joins her mother, an abandonment of the world and certainty. A splash. A surrender to the water’s coolness. She tucks her knees to her chest and sinks. Her eyes open. A veil of bubbles. Everything quiet. Everything dark. A touch of the bottom’s silt. Her knees flexed, a push up, the surface broken with a gasp. She pulls herself onto the sun-warmed planks and curses her cousins in the bait shop owner’s gruff Virginia draw. The cousins laugh, and a ritual is born. All that summer, she leaps from the platform and emerges as someone new. A radio singer. A TV preacher. A gangster’s moll. Each a liberation, hybrids who accepted her face and masked the her of hurt and confusion. The movie star swam, an underwater breaststroke. The chlorine’s sting in her eyes. A suspension between the diving board’s shadow and the well’s warped bottom. In the lake, she’d stay submerged, the burn in her lungs as she decided who to be next. The pool’s ladder five yards away. The movie star released her last parcel of breath. The squish in her temples. Another stroke, a kick, a stroke. The constriction in her throat and lungs. She grabbed the ladder and broke the surface. An inhale of distant smog, the olive trees’ blooms. She climbed out, herself yet not. She’d wear Lady Astor’s fur and lace. She’d adopt—and in time, dream in—the nuances of a dead generation. She’d read lines written by strangers and deflect the stares of those who wanted to know her heart. She wrapped herself in a thick towel. Wet footprints on the pool’s apron, crescent stains that faded in the heat. Her agent handed her the phone. Curtis Smith’s latest books are Beasts and Men (stories, Press 53), Communion (essays, Dock Street Press), and Kurt Vonnegut’s Slaughterhouse-Five, Bookmarked (Ig Publishing). He lives and teaches in Pennsylvania. Find out more at curtisjsmith.com, or follow him on Twitter at @curtis_j_smith.